Tax Advice | DNN Tax Service, Inc. 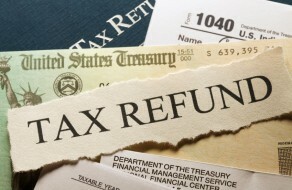 If you have any concerns regarding your taxes, we can advise you until you feel prepared for tax season. You may be able to file on your own as soon as you get the answers you need, so feel free to come to us no matter how much assistance you need. We can help project how much you will owe or get back, decide if you should file quarterly, or advise you to start withholding more taxes from your paycheck. With our advice, you are unlikely to be caught off guard at tax time.